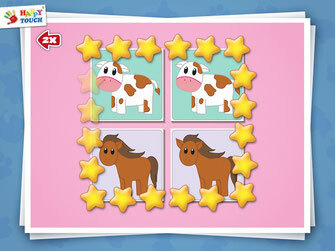 Great news: We just launched "Animal Match" - Baby App by Happy-Touch®! The bee is colored yellow-black and has funny wings, the sheep is white and so fluffy! These animals look pretty different... Another try: Good job, now you've found the right pairs!